Put your hair in its place - literally! 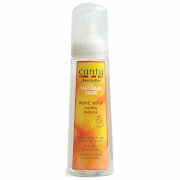 This super control foam will give you fabulous volume and shine and keep your style firmly in its place. Your hair will not only be held in place but be protected form the sun’s harmful rays, environmental aggressors as well as heat styling. Conditioning agents in the foam will leave your hair shinier and softer than before. Finally, it will extend the life of colour in treated hair. Apply one or two teaspoon sized amounts of foam to your hair. 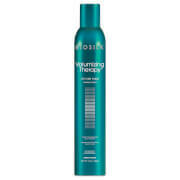 Disperse evenly through your hair and style as usual. Having tried so many different hair products in search of something that will give body to my hair which is quite thick but fine. I found this doesn't weigh it down and leaves it soft but with plenty of body. I would recommend it. Having lived with horrible fine limp hair all my life this product is amazing.It gives body and firmness when you blow dry and is long lasting Team it with Philip Kingsley Elasticizer as a prewash conditioner and it does not change the hair you are born with but makes it feel like hair you are happy with. I have been using Philip Kingsley products for many years and recently tried the Weatherproof Styling Froth as an alternative to their Maximizer. My scalp reacted badly with sore, red, scaly patches, some of which bled, and my hair got greasy sooner than usual. Once I discontinued use of the product my scalp eventually healed and settled down. It is definitely not for someone with a sensitive scalp. I have been using Philip Kingsley hair care products for a long time now, and can't fault them. I have very fine hair, so use the maximiser regularly, so decided to try the styling froth. Love it, and will lkeep purchasing it. this is the best mouse I have ever used very good on short hair, the tops! Excellent product great for styling short hair and giving more fullness and body.Great smell too.Would highly recommend. This mousse is just fantastic, I have thick hair but it is also fine and can be very flyaway when washed.This mousse gives it plenty of body without making it feel sticky,lovely smell as well.Best mousse I have tried so far.